It all began late September last year during a consulting assignment at newScale. Following this engagement, I had committed myself to spending the winter in Montpellier to learn French -- (I had made that clear to everyone, but as it turns out, perhaps not to myself). I had been incubating a concept for some time for a venture that I wanted to start (soon to be called zAgile) but things had stalled over the summer. I was struggling with trying to define the vision any further--experiencing a mental block of sorts or a creative vacuum--so I decided to take a break, engage with newScale, go to Montpellier, learn French, do whatever until the block cleared and I could regain the momentum and get back on track -- to fulfill my dream -- el sueño de Sanjiva. During one of these weeks and during one of our lunchtime chats, Rodrigo Flores (Founder of newScale) told me of a visit of a few Chilean business leaders to the Bay Area in late September to explore opportunities for innovation and economic growth in various industries (high-tech, wine, ...) and he thought that I may enjoy meeting with them. This Chilean team was coming to visit the valley's top brass--executives from the likes of Oracle, Sun, Cisco and Autodesk. Obviously, I felt quite flattered and excited about the possibility. I had come to respect Rodrigo as a peer and a friend and the thought of meeting some 'fun' people (and wine lovers) from a world that was still quite unknown to me seemed exciting. The meeting took place at the Holiday Inn at Fisherman's Wharf in San Francisco, early morning on the 24th of September. Expecting to meet a few Chileans (as Rodrigo had modestly expressed), I was quickly overwhelmed when I entered a small conference room that seemed to be completely filled with people. There were 38 of them to be precise. Leaders from political, business, academic and commercial sector--members of Fundación Chile, headed by Senator Fernando Flores. During the meeting, I had the opportunity to spend 20-30 minutes in an extemporaneous monolog talking about everything from the dream that pulled me into the world of technology to my experiences in the world of high-tech startups. Of course, we also discussed offshoring -- a topic about which I have been very passionate in my career. 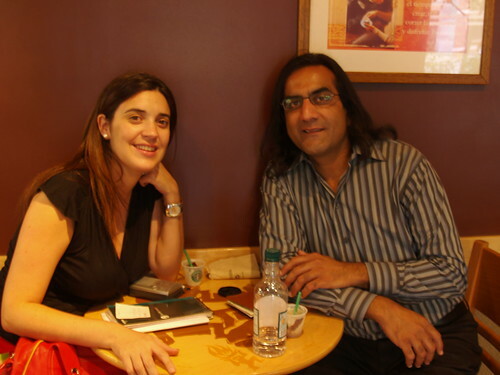 Soon after the meeting, while having coffee at a nearby Starbucks, I discussed with Rodrigo the possibility of my exploring Chile for the purpose of incubating zAgile. It could serve as a pilot for Chile in helping them understand the needs of entrepreneurs like myself and, at the same time, help me get started with the realization of my vision. As the idea percolated through the members of the Fundación, it became apparent that the first step towards exploring this possibility was for me to visit Chile. Furthermore, given the approaching summer there (Dec/Jan), I needed to visit well before people began their summer holidays. I planned the trip fairly quickly and, on November 11th, arrived in Santiago de Chile on a trip initially slated to be an exploration for 2-3 weeks. An adventure (una gran aventura) was about to begin for me and for zAgile. I returned home 4 months later but not before I had engaged teams of developers in three countries (Brazil, Peru and Chile) to begin working on the initial prototype (distributed teams of developers developing a platform for distributed software development -- what a concept :) ) and learned a little bit of Spanish (sí! hablo un poco español) and Tango (yo aprendí bailar tango en Buenos Aires). And of course, I also had some opportunities to try out Chilean and Argentinian wines, meet some very cool and fun people and make some new friends. This blog chronicles this adventure as I began to build a software company -- zAgile -- una compañía que busca transformarse en una plataforma para el desarrollo de software en el mundo (a company that aspires to be the platform for software development in the world). The zAgile story begins much earlier than the encounter with members of the Fundación Chile in late September of 2006. It began after I had left IBM, in July of 2005, fifteen months following its acquisition of Trigo Technologies, a company where I had served as the VP of Engineering. Following this acquisition and transition and a rather long and grueling marathon that had led me through a number of fast-growth companies over the course of several years, I felt the need to pause and contemplate my next career moves. I also felt the need to rediscover the passion that had driven me into this career in the first place. the adoption of Agile methods within all shapes and sizes of companies across the globe. The idea of capturing semantics (knowledge) associated with systems, processes, events and people (performers) seemed particularly very fascinating and to some extent a level above the data modeling paradigm of the 80s and object models of the 90s. I thought about ways to somehow apply this technology towards the capture of knowledge that is created throughout the software engineering lifecycle -- knowledge that ultimately is either dissipated or embedded within the software itself (as Philip Armour asserts in his book "The Laws of Software Process") -- but is not all too readily accessible to us. In all sorts of scenarios in software engineering, this has been one of the key problems in our ability to maintain efficient and predictable delivery cycles. However, the semantic web technologies also seemed very nascent. With the exception of the vision behind Mozilla's original architecture, I couldn't see anything architecturally tangible in this area with respect to the application of these technologies to solve real-world problems. It wasn't so clear as to where and how one could effectively apply them. It was around this time, in the middle of September '05, that I left for my first of many travel adventures. And it was there, somewhere between the Rhone valley in France and Mallorca, Spain, that I began to formulate my next steps. Trying to figure out my next career moves didn't seem to be so difficult after all. I realized that I still had passion for software development and the problem I wanted to tackle was in itself related to software development. I realized that I wanted to solve the problem that had plagued me throughout most of my career. I finally wanted to build a product for myself. In a career that spanned over two decades, through disparate organizations, cultures, technologies, process maturity levels, paradigms and application domains, I had never encountered i) effective and comprehensive integration between tools used throughout the software engineering lifecycle representing all stages from business case to product delivery; ii) a mechanism for defining and automating custom software engineering processes and workflows; iii) the ability to easily get reliable qualitative assessment of a project's progress at any point in time; or iv) a mechanism for capturing knowledge related to activities that occur throughout software engineering lifecycle. So I decided that this was the problem set I wanted to tackle, for myself, and for others who had been similarly impacted in their careers by these issues. The statistics on software project failures, as reliable as they can be, were staggering. $19B lost per year in US alone either due to project overruns or cancellations. And the problem is further compounded by the increasing trend towards distributed development and offshoring (global investment of enterprise application software outsourcing grew by over 60% between 2002 and 2007). So it was a good place to start thinking of an opportunity for a venture. The $19B problem was only going to get bigger. While this problem set became the impetus for zAgile, and while still in Mallorca, I developed the vision or the guiding principle that would drive zAgile. I called it The First Law of Software Development (aka Sanjiva's Law of Software Development). It was an assertion that simply stated that Software development is not just about implementing and managing processes (the traditional perception and focus). There are three other forces -- Collaboration, Community and Knowledge -- that equally influence the outcome of software engineering endeavors. However, these forces are typically either ignored, poorly understood or managed, and not well supported through tools and technologies. An acceptance, appreciation, and understanding of the impact of all of these forces on the overall delivery cycle, in my mind, was critical to one's ability to effectively and efficiently manage the delivery outcome to stated goals. Whereas Chopin and Sand may have left with miserable memories of the winter they had spent in Mallorca (Ref: Un Hiver à Majorque by George Sand), I returned home to the Bay Area totally inspired, charged and armed -- with an interesting problem set, some key concepts and a vision (and two cases of some great french wines). Luckily, I had found my passion again. Now, it was time to formulate some concrete next steps. Starting a company in a garage -- a metaphor most commonly associated with high-tech startups in Silicon Valley, has attracted a lot of entrepreneurs since the early days of technology, including myself. And very often, it was more than a metaphor. In the early 80's when I was still dreaming of joining the MD/PhD program at the School of Public Health at UC Berkeley, it was this dream of being able to build successful technology companies in one's own garage that eventually distracted me off my main course and into the realm of software technology. So it is not surprising that after participating in a fairly successful transaction associated with the acquisition of Trigo Technologies by IBM, I found myself back in the proverbial 'garage' except that this metaphor had evolved. Our version of the 'garage' now is a virtual world that extends beyond national and continental boundaries. zAgile's incubation, from the first moment on, has involved people working from remote locations, in various cities and countries in South America, on various R&D concepts. This was important to us from the beginning because it resonated with the core theme of the company. This level of virtualization also opened up opportunities for us at a global scale. Anyone anywhere could participate in the incubation of this dream. zAgile's garage is virtual and without boundaries. Networking -- Each week I dedicated some amount of time in the Silicon Valley, either at networking events sponsored by organizations like TIE (The Indus Entrepreneur), SVASE and VentureLabs, or meeting former colleagues and friends to get some early reactions about various ideas and strategies. I found these events, workshops and meetings to be very useful in early stages because they helped structure my thinking and the pitch. Listening to myself and other entrepreneurs, I realized that we easily become consumed with the idea or the product but do not spend enough time or mindshare figuring out ways to articulate the problem that we are attempting to solve. Defining and quantifying the problem that zAgile would solve became the most difficult task of all, along with developing the 'elevator pitch'. Simple questions like "what problem does this solve" and "what $$ savings can be measured" were not so simple. It is always a lot easier to just tell people how cool the idea is and why you are so passionate about it. Through some combination of workshops focused on these topics, sponsored by organizations that I mentioned, along with sessions with some of my close friends who each brought a significant depth of experience in building startups and being an entrepreneur, I was able to get a lot of help in the early stages. Biz Plan Summary -- I began to research and develop content for the business plan -- the usual stuff such as market size, target customers, potential revenue sources and competitive landscape. This early exercise was mostly for me to satisfy myself that there was enough there to justify investment of my own $$ and sweat equity. The real business plan would have to wait until I needed to go for someone else's money. I found that researching competitive landscape for me was a very gritty exercise. With the passion you carry about your ideas, the last thing you want to see is that someone else has already implemented it and you weren't even aware. And so it was, as I spent hours surfing and reading about similar offerings, I came across marketing literature from one company that completely knocked me off my chair. It was as if I had written it. I couldn't believe that this concept was already in place as an enterprise product. Sweating profusely and feeling quite shaky, I scoured through the entire literature that I could get my hands on from VA Linux System on Sourceforge Enterprise. It took some time to realize that marketing literature aside, there were fundamental differences between our approaches and capabilities related to tools integration and interoperability. Other than this 'seemingly' close encounter, there was no one else who offered a comprehensive set of integrated and interoperable tools. Most of the landscape was filled with rich and deep but 'lifecycle-stage' tools, i.e. covering specific stages of a Software Engineering Lifecycle. Not only did I have a concept for providing a much more comprehensive and integrated toolset, I could also integrate their tools (and anyone's for that matter) more effectively than what they were able to achieve. I felt a sigh of relief. I kept moving forward. Team -- I started to explore various outsourcing partners to create a team that could start developing some prototypes -- a quest that a few months later (and incidentally) would lead me to South America. 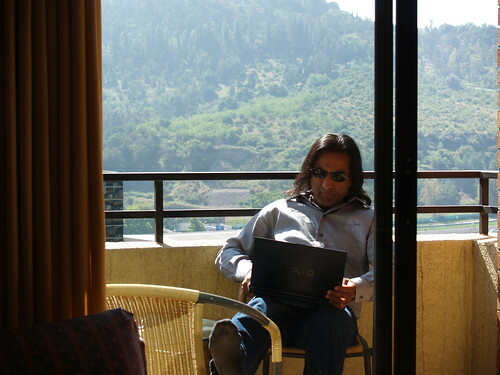 I had managed a number of significant outsourcing projects in India in my career but because of market saturation, rising salaries and high attrition rates (not to mention relatively poor physical infrastructure), I was not so inclined to go back there. India, in my mind, was at a bubble stage. And that bubble was 3-4 years away from bursting. Recruiting for talent there had become a crazy exercise because it was a way for people to get 20-30% jump in salaries and they could do it as often in a year as demand for their skills allowed. Loyalty was in short supply. Even after accepting an offer, the chances that the person would show up for work and stay were less than 100%. Furthermore, unlike the Silicon Valley culture where it is still very easy to find people who want to risk participating in early stage ventures, Indian society is still very conservative and most of the people prefer financial and career stability and traditional lifestyles. While this is changing now at a fairly rapid pace as India starts to become a consumer of technology products and services (as opposed to a mere service provider) -- it still wasn't enough to support my endeavors. Moreover, since I was still in the stages of figuring out the product and technology that I needed to build, it was too premature for me to make significant formal commitments (and investments) to any service provider. My focus therefore turned to Eastern Europe, and in particular, towards exploring opportunities with university students and recent graduates. This demographic had been particularly active and prolific in its contributions towards open source software. I felt that I could leverage their enthusiasm and creativity for new technologies as well as their experience with open source tools. In turn, I could make up their lack of maturity by engaging more directly with them and more actively guiding them. This way we could accomplish a lot in the early stages and I would still be able to manage it through my own funds. Technology & Product -- Most of the time, during this stretch however, was spent on researching tools and technologies related to the semantic web and open source tools for software development. Spending hours, days and nights installing and configuring these tools gave me a clear appreciation for a business model focused on supporting them for medium and large enterprises (similar to what SpikeSource and other companies were developing). The open source world is tremendous in its contributions of creativity and content across all domains but you often are also encountering "open sores". And your business cannot depend on such technologies without appropriate expertise and support through some reliable channel. Name & Branding -- And I also started thinking of names for this venture. That was also not an easy exercise. I thought of planning 'naming' parties to solicit inputs from friends. I tried to list out various qualities associated with the concept and the venture to see if they would lead to something cool and creative. Here I discovered, through agonizing efforts, that every possible sequence and combination of letters in every possible script or language had already been registered as a domain. If I could think of it, it was already registered. For some existing domains that I found to be expiring within a few months, I waited. But that wait proved worthless. Renewals were automatic and people were holding on to them. I made some feeble attempts at trying to purchase some names but the asking price was too prohibitive. I knew that whatever name and branding scheme I could come up with, the first guy we hire as the marketing exec is going to change it--so why blow any money now on something so transient. While strolling through my garden in lazy summer afternoons with a glass of wine, over the course of several weeks, I came up with a short list that I found viable as names for my venture. I registered all of them quickly, figuring that to be the first critical step. I wasn't sure about any of them but a decision wasn't too critical at the time. At least I had a hold on the possibilities. This strategy proved somewhat fortuitous as, completely out of the blue, someone one day offered to buy one of the names I had registered. The transaction took three days to execute and only a few minutes of my time overall -- but I was $2500 richer. It more than paid off for hanging out in the backyard deliberating endlessly over names and drinking lots of wine in the process. I wanted to reflect agility somewhere in the name or the theme of my venture, so I kept trying some scheme that would include the word agile. Once again, there were a lot of businesses and domain names already registered with that scheme. I went through the entire alphabet and finally found the letter 'z' that would serve the purpose. No one had used it yet. And so the venture became zAgile. I quickly registered the domain zAgile.com and sometime in September, went online and used bizfilings.com to register zAgile Inc. as a Delaware corporation. A logo and a website later, which my friend Leo Cheung put together for me rather hastily as I busied myself with travel arrangements for South America, I had a 'real' company. I also needed business cards and wanted a palindromic ("California Street, San Francisco, California") address, so I signed up with a virtual office provider who had a facility on 101 California Street in San Francisco, put an express order for biz cards at Kinko's, and I was all set to formally represent my venture to any and all, as I left for Santiago de Chile. Soon after the late September meeting with Fundación Chile, I promptly began to follow up with a few of the members via emails, letting them know of my interest in coming to Chile to explore opportunities for software outsourcing. Whether any of them could or would play any specific role in this effort wasn't too obvious. At the time, this was simply an interesting idea and the execution-level details were not so clear. I waited for some time for some tangible response from Fundación members in the form of a formal invitation or itinerary or informal guidance but nothing materialized. So, I waited and deliberated between the desired trip to Montpellier versus heading south to Chile. Finally, realizing my deliberations, Rodrigo suggested that I make the first move by committing to a trip. He felt that this demonstration of commitment on my part would provoke sufficient interest and action in Chile to get things rolling. And once I were there, I would have additional opportunities to find my own way around. So, I planned my trip and broadcast it out to everyone that I had met. Coincidentally, Pablo Flores, another friend, was also planning a business trip to Chile during this time. He also offered to make some introductions on my behalf. Rodrigo's strategy and Pablo's efforts soon paid off. Moreover, Pablo had returned with some encouraging news. CORFO, Chile's Economic Development Agency, had offered to organize some initial meetings for me. Working in concert with Fundación Chile, they had proposed an agenda which would have me meet with representatives from other software technology companies that had invested in Chile, a technology staffing firm, as well as academics from Chile's leading technology universities. This was quite encouraging on many levels. In addition to the diverse agenda that had been set up, I also came to know a little about various programs that CORFO was offering for foreign high-tech ventures. It seemed that Chile was quite serious about wanting to attract foreign investments in high-tech and had taken a number of steps to make it easier and financially attractive for foreign companies to setup shop there. I thought that the financial incentives could certainly help launch zAgile. I became very hopeful of this trip and began in earnest to prepare a formal pitch for these meetings. Pablo had also provided an introduction to a good friend of his -- Paolo Colonnello, a software technology entrepreneur and head of BlueCompany, based in Santiago. Paolo graciously offered to help me with anything I needed during my stay in Santiago. So, on Saturday, November 11th, 2006, I arrived in Santiago, somewhat apprehensive and anxious, with lots of hope but without any expectations. I came prepared to deal with any outcome but determined to make something happen, if there was even a remote chance. The apprehensions and anxieties were mostly because I had come to a world that was quite unfamiliar. With fewer than 5% of the population in South America conversant in English, I wasn't sure how easily I would be able to get around with 'no hablo español'. I also didn't know what to expect. I only had a few leads to follow. My initial impressions of Santiago were that it seemed to be a serious, quiet, professional and modern city. The landscape at times looked like I was somewhere in Southern California, in one of the LA suburbs. It didn't quite look like the Third-World that I had been used to. I was quite impressed. 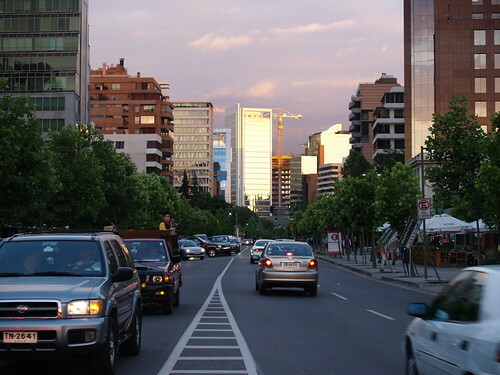 With Paolo's help, I had arranged to stay in an aparthotel near BlueCompany offices in a relatively modern and nice neighborhood of Santiago called Las Condes. I spent the rest of the weekend getting settled and mostly working on the pitch for Monday. I was finally beginning to get really excited about the possibilities for zAgile in Chile and was preparing to evangelize to any and all the vision that I had brought with me. zAgile -- mi nueva aventura empresarial -- was starting to build momentum. CORFO had coordinated with Fundación Chile to create an agenda for my visit. Eight meetings had been scheduled literally all over Santiago in the first two days, with a software company, a staffing company and with academics from Chile's three top universities. The objective was to demonstrate that others had successfully invested in Chile with CORFO's assistance to pursue their software technology expansion and there was sufficient talent and facilities to support zAgile's incubation. However, it was the first meeting with CORFO itself for which I felt I needed to be most prepared. Based on all the dialogs and communications thus far, I had expected to spend time with the CORFO team evangelizing my background in software outsourcing, zAgile's vision, as well as discussing with them various strategies for establishing a footprint for zAgile in Chile--likely a first within the context of Silicon Valley software startups. As I arrived at the CORFO offices in downtown Santiago early Monday morning, I found no CORFO team. As it turns out, the meeting was with one of their investment executives who expressed no interest in zAgile or its vision or my agenda but offered to answer questions regarding the types of government grants one could expect for investing in Chile. I also found out that in order for me to get support from CORFO, I would have to commit to investing at least $1M over the course of the next 2-3 years. Other than the grant money, there was nothing else for them to offer -- no facilities, no infrastructure, no guidance and no strategy. Chile had made lots of money in their copper trade and was hoping to invest some of it to develop other economic sectors, with a keen eye towards hi-tech. It is easy to imagine their motivation, given the success of this strategy achieved by India and China, but was it really going to be just that easy? Could they jump on this bandwagon by simply offering financial incentives? Whereas I had come with some expectations of working with Chile towards helping them understand the needs of entrepreneurs, on my first day there, I was being told that they were prepared for more established companies, the likes of Tata Consulting Services and Software AG, to invest much more heavily into Chile. Something had obviously been lost in translation. However, it was still too soon for me to draw any conclusions or make any judgment on the outcome of my visit. It was only the first hour. Therefore, I continued with the rest of the meetings. 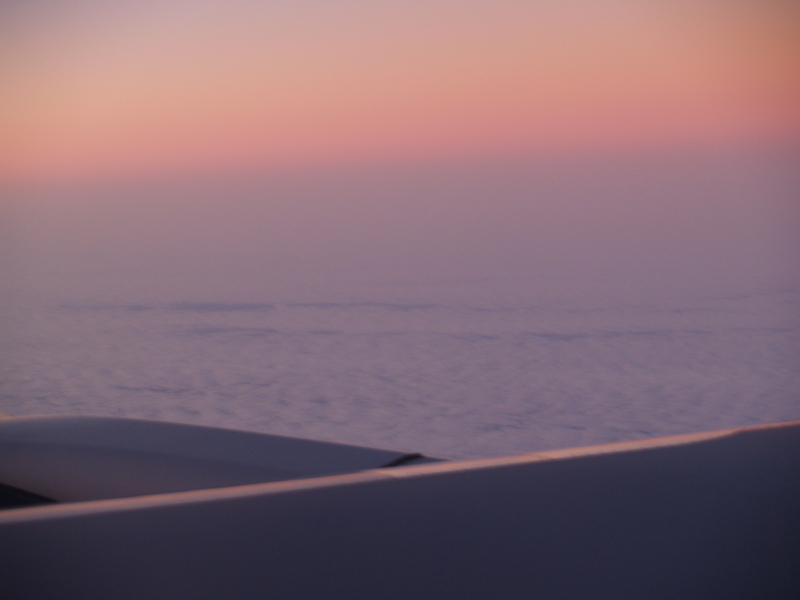 The trip was a calculated risk from the beginning. I was now challenged with trying to figure out how to use it to build momentum for zAgile, take a step beyond the concept stage where things had been stalled over the summer. The rest of the meetings over the first two days were quite a reflection of this disconnect. None of the people I was to meet were given much background or context in terms of why the meetings had been set up. I should give them some credit for taking the time to meet with me without clearly understanding the objectives or the agenda. Although, this scenario gave me sufficient opportunity to construct my own agenda. Therefore, I decided to use each meeting to make my pitch, evangelize zAgile's vision and explore various types of partnership and networking opportunities. If I could get people to become aware of my purpose, perhaps they can help me find the right connections in Chile. Overall, the outcome of the meetings was reasonably encouraging. The academics, in particular, expressed very keen interest in zAgile's technical vision. I was surprised (and at times shocked) to discover the level of interest and types of ongoing projects in the Chilean universities that were related to semantic web technologies. Moreover, everyone expressed strong interest in either working with zAgile or helping me in some way to accomplish my near-term objectives of building a product proof-of-concept as I explored Chile's viability for zAgile's incubation. The last meeting (which almost didn't happen) turned out to be the most promising one of all. A professor from UTFSM (Universidad Técnica Federico Santa María ) located in the seaside city of Valparaiso, had just returned from the International Semantic Web Conference in Athens, Georgia with one of his students. We obviously had a lot to share about our interests. He not only expressed deep interest in the architectures related to semantic tool integration but also offered to engage some of his students with zAgile so that we could begin to explore some ideas. The meeting felt quite fortuitous. While continuing to follow up with the earlier meetings as well as building a network, most of my focus shifted to UTFSM and Valparaiso. 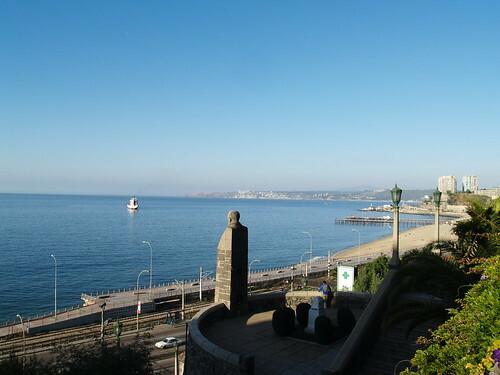 In the next few days, I made several trips to Valparaiso to meet with the students, pitch to them the technical ideas and discuss the opportunities for engaging them on a proof-of-concept project. I had found a place to start. My first two weeks in Chile were spent either networking and following up with every contact I was making, or visiting with the students at UTFSM, getting to know them, their projects, skills and interests. I networked and 'schmoozed' relentlessly. I took every opportunity to meet anyone anywhere who was willing to listen to my vision and objectives. 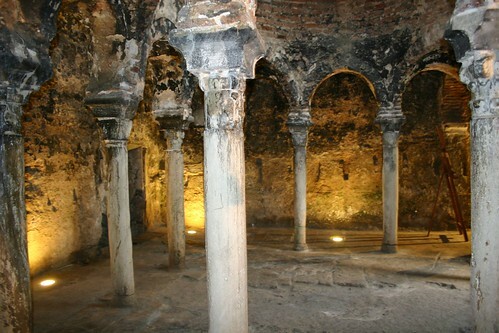 I quickly found out that Santiago was a very small city in terms of degrees of separation. My network was spreading rapidly. It seemed like I was spending most of my time at the neighborhood Starbucks in Las Condes. The growing network gave me lots of opportunities to explore all kinds of possible relationships with people. Given that I have often been called upon by friends and colleagues to help them with their offshore initiatives, I also explored such possibilities in Chile. Since I was already there, I could look for suitable partnerships for not only myself but potentially others. Through my contacts back home, I was quite confident that I could bring sufficient projects to generate a significant revenue in the context of setting up various incubators. But I needed to find the right partners. While everyone that I met expressed interest in getting involved or helping me in some way, as time went on, very few actually stepped up to their commitments or desires. I was beginning to tire of this curious and seemingly cultural propensity of making lots of promises but not coming through. The idea of engaging with a Silicon Valley venture seemed very intriguing to a lot of people in Chile, but most could not really step out of their conservative profile to consider taking the risks or figure out how to engage or provide any tangible value. As this realization began to set in, my focus began to shift from the strategic -- evaluating Chile for long-term outsourcing opportunities, to a very tactical one -- getting a team to jump-start my venture and help validate the concept. I was intent on making something happen. I have always known that building momentum is very critical, especially in the early stages of a venture. 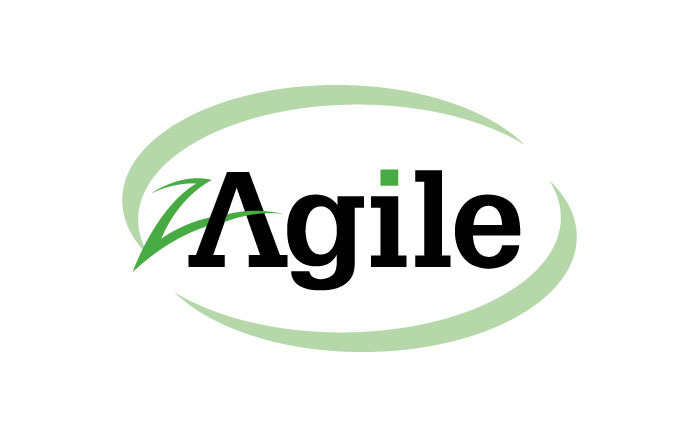 I had started to feel a little momentum for zAgile and I was afraid of losing it and stalling again. Thus, I began to put a lot more effort towards gaining the attention of university students. Summer vacation months were approaching and most of them were in their final stages of university commitments for the year. So it was a good time to try to get some involved in a proof-of-concept exercise. A couple of times each week, I made the needed day trips to the UTFSM campus in Valparaiso, a city roughly an hour's drive west of Santiago. There, I attended students' workshops and conducted various sessions with the students discussing various topics related to semantic-web technologies. Through my faculty contacts at UTFSM, I had come across a couple of students that seemed very keen to work on the project and also were familiar with semantic web-related technologies. I was also told that a few more would be available once they were done with their school commitments. I was quite impressed with their maturity level and knowledge. So I brought the first two on-board as consultants to zAgile, with expectations to quickly grow the team to a critical mass to get things rolling. I also got setup with PayPal, hoping that I could use it to pay them (remotely). "use the platform that we develop and develop the platform that we use"
In the absence of product management bandwidth or even any level of clarity about what we needed to begin developing, this was the best spec I could come up with. I figured that if we could build a platform which we could ourselves use to collaborate and develop software on, it would be a good start for others. My new found friends at the BlueCompany graciously offered me office space and facilities to use for meetings and working sessions with my new team. It was at their offices that zAgile began to take shape. With the help of a couple of students, I began some early R&D exercises to explore various technology options. We also started brainstorming about what a proof-of-concept might look like and what we needed to accomplish in order to validate the concept to ourselves. The students were only available for 15-20 hours a week until the end of school session so I was still hoping to get more help. I continued to pursue networking in parallel, spending all my available time outside with people. I was challenged with establishing any kind of credibility or confidence in a country where I was a complete stranger. My only option was to network as much as possible and use my passion and energy to get people to become believers in my vision. Sometime late in the second week of my visit, I received a call from one of my new found friends -- Carlos Osorio. I had met Carlos earlier in San Francisco in late September when he was traveling with the members of Fundación Chile. At the time, he was wrapping up his PhD at MIT. Coincidentally, he was also in Chile when I arrived. He had been very instrumental in helping me build a network and meet people that may be able to help me move forward. On this day, Carlos had called to tell me that a journalist from quépasa may be calling to interview me about my visit to Chile. quépasa, as I found out, was one of Chile's leading weekly publications, primarily focused on politics and business -- their equivalent of Newsweek or Time. The context of the interview was not clear but I agreed to meet with them anyway. I do not have much experience with media and marketing but I felt that I had a very good story to tell so there was little or no risk in meeting them. So I met with Josefina Rios from quépasa at Starbucks on a hot afternoon on Tuesday November 28th. I had spent the early part of the day looking for long-term apartment rentals. Yes, by now, I was convinced that rather than a 2-3 week due-diligence, I was going to need to stay much longer. Things had moved at a much slower pace than I had planned or desired. But I still felt quite optimistic that I would get some value out of the trip. Josefina had obviously come prepared, having done the necessary due-diligence on my background. While I was all prepped to talk about zAgile, her questions were mostly about me. We spent an hour and a half talking. It was a rare moment for me as I tried to deflect questions about myself to take the opportunity to talk about zAgile. That does not happen often. But curiously, her interest was only in my background. The overall spirit of the interview was very positive. After the interview, we drove around the neighborhood with their staff photographer to find a place where they could take some pictures of myself. At one point, I found myself standing in front of a railing with the sun in my face, barely able to open my eyes, melting in the heat, as the photographer took a few dozen shots. 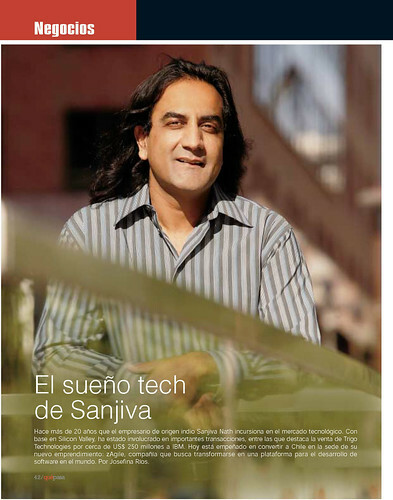 The article titled El sueño tech de Sanjiva (sanjiva's tech dream) was published and the issue hit the newsstands three days later. I had walked into the BlueCompany offices on Friday morning to continue our working sessions when one of the managers, Alvaro Portugal, gave me the latest copy. Since it was written in Spanish, I obviously could not understand any of it so I didn't quite know how to react. The full-page shot looked impressive. The contents were another story. Rather than indulging into the details, I thought it best to just hope that the article could give me some credibility and generate needed interest in Chile for my venture. PS -- over time, as I began to learn Spanish, I found myself occasionally going back to read the article and try to see what of it I could understand. And often, I would discover some subtleties or nuances that Josefina had captured about my professional life and my spirit. I realized that she had been very generous in portraying both. And often, I felt very flattered. In chronicling the zAgile story, I have used snippets from her article as titles of the entries as a tribute to her generosity and efforts. Whether or not anyone else read it, it proved to be a motivation for me in my continued efforts to make zAgile a success.